Travel included. Deposits are required via PayPal Business Invoice. Non refundable. – up to 3 hours. Makeup options: Matte or Dewy finish, Natural Glam full coverage or Natural coverage. Airbrush is not required. Head piece/veil placement, hair jewelry, and complimenting hair styling to face shape. We specialize in virgin hair to achieve a long-lasting look. Premium faux lashes included. Hair extensions are not provided, but may be applied; depending on type of application. Prices may vary. can accommodate any size party. -average up to 2 1/2 – 3 hours maximum. Depending on design. Not required. Skin care products will be used to prep your skin and discussed, if needed. Skin must be clean, toned, and moisturized OR maintain skin care routine if desired. Application of faux lashes will be provided. Latex-free lash glue must be requested for sensitive eyes and allergies. Lashes are not required. Face chart will document service provider and all products used. To ensure 100% satisfaction guaranteed. Planning for your bridal parties hair & makeup. Itinerary included with staffing of beauty team. Bridal party must pay cash day of service, no exceptions based on past experiences. 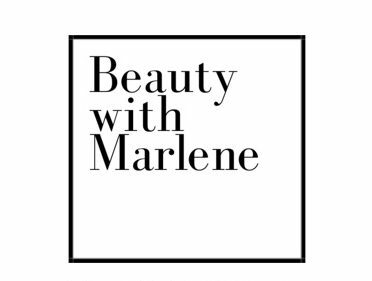 One month (30 days) before your wedding day Bridal Hair & Makeup service to be paid in full via confidential PayPal Business invoice from Beauty with Marlene. Hair must be 100% dry. Washed the day prior at the earliest for everyone receiving a hair styling service. Blow Dry service may or may not be available unless otherwise stated. Please inquire before prices may vary. Must provide room numbers, access codes, and any information to access you and reduce/eliminate delays. 100% Confidentiality and satisfaction guaranteed! Thank you for choosing us as your Bridal Beauty Team. We are a thriving small business owned and managed by a local woman of the Coachella Valley. Our rates cover overhead, licensing, and fees. Rates subject to change. Our rates are in respect to varying income levels of all women to have access to our services. Please fill out the form below for date availability and rates.